I am just going to put it out there; it’s not always easy to eat healthy. Sometimes, we want the ooey, goey sweet stuff; the stuff that weighs heavy on our tongues and gives us that slightly devilish indulgent feeling that we have enjoyed something extra special. But what if it was possible to have both? Very recently, I came across Healthy Chef, the site of Australian chef, Teresa Cutter, and while it would be hyperbolic to endorse it as the Holy Grail, it is a fantastic site that seems to have found that wonderful balance between shameful indulgence and healthful self care. Known for recipes that are equally healthy and delicious, the site is full of wonderful tips, tools and recipes that fans say taste as good as they are good for you. 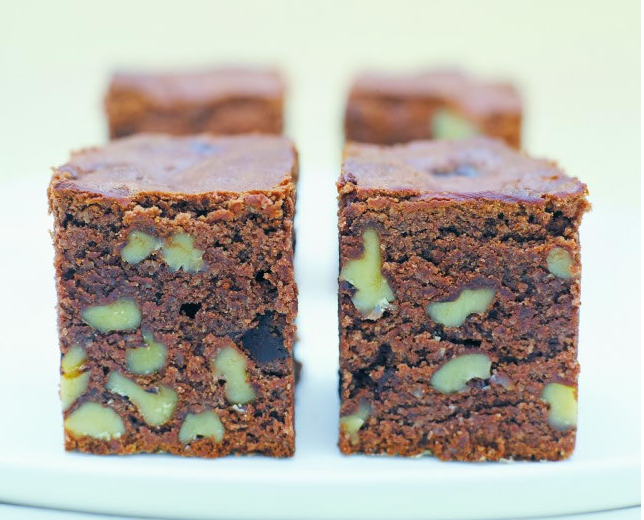 From delicious oatmeal and honey scones and a pretty Hummingbird cake to indulgent gluten-free chocolate, macadamia nut brownies the many recipes offer endless opportunities to create decadent , delicious and truly healthy desserts (as well as complete meals). Which one do you plan to try? ← Smoothie Bowls (And Five Other Very Good Reasons Not To Skip Breakfast).